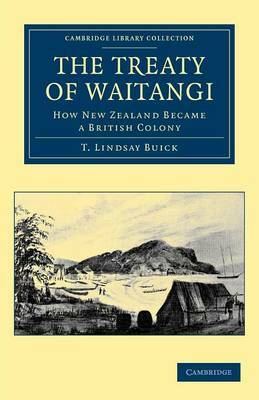 This 1914 work, reissued in its second edition (1933), examines how New Zealand joined the British Empire in 1840. Thomas Lindsay Buick (1865-1938) became interested in New Zealand history while working as a political journalist in Wellington, and became an influential figure in the field. He went on to write twelve books and numerous pamphlets on the early history of the country and was elected a fellow of the Royal Historical Society in 1914. In this book Buick recounts the events leading up to the Treaty of Waitangi, the controversial document signed by British officials and Maori chiefs which ceded New Zealand to the British Empire in 1840. Buick claims that the need for a formal handover of authority to Britain arose from the rowdy misdeeds of sealers, whalers, and escaped convicts from Australia, who needed to be kept in check. The work was first published in 1914; the revised edition reissued here appeared in 1933, and a third edition was published in 1936.